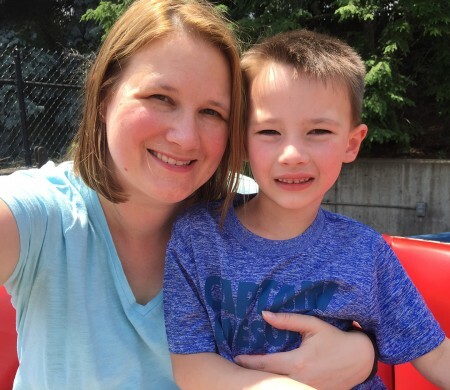 I made a promise to the kids at the beginning of the summer – they would each get one afternoon at Kennywood alone with me. At different heights and with different likes, taking the three of them together means that someone is always unhappy with the ride choice. Taking one at a time means that child chooses the rides and I get one-on-one time which is good for both of us. 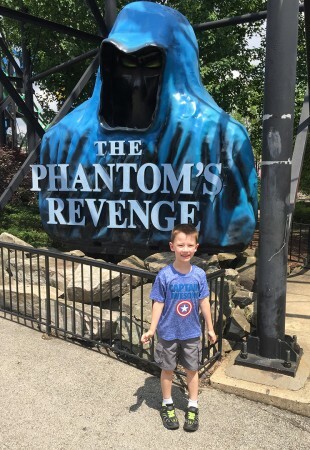 Wyatt was up first and a few weeks ago we spent a Friday afternoon at Kennywood together. 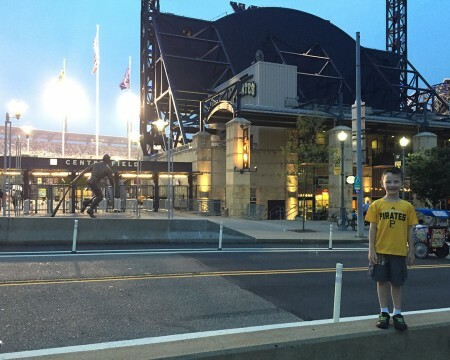 Since we had Pirates tickets for that night we also went to the game. It was a long, fun-filled day. 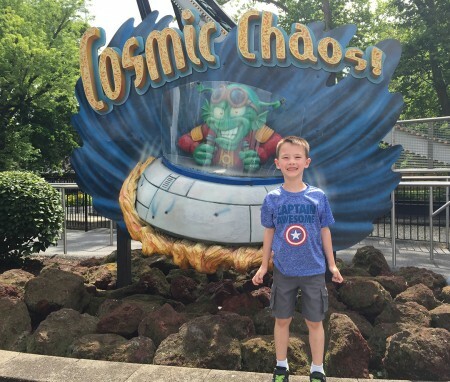 I picked him up from his childcare program before lunch and as soon as we arrived at Kennywood Wyatt insisted that we ride the Alien ship (Cosmic Chaos) first. 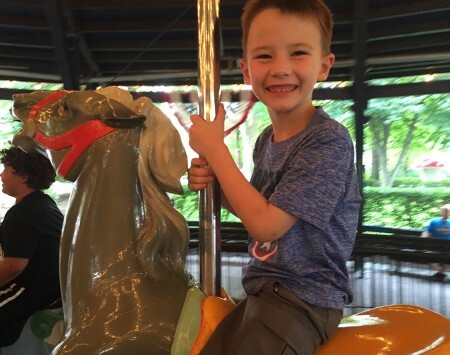 He passed the 48″ milestone this summer and he was finally tall enough to ride. He loved it and we rode it again later. He would have been happy to ride it even more, but I have a two time limit for spinning rides. 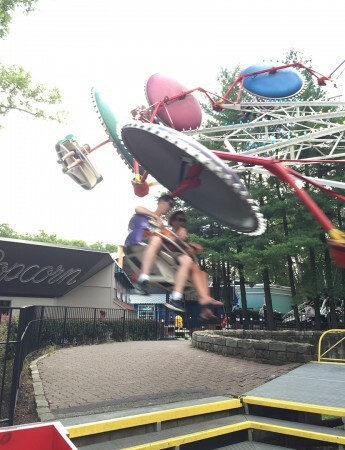 We spent most of our day riding the Racer and the Phantom’s Revenge – he is my roller coaster boy. And we tucked in other rides throughout the afternoon. 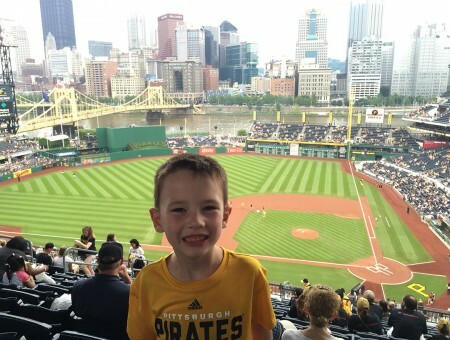 We left the amusement park at 5:00 and headed across town to the ball park. 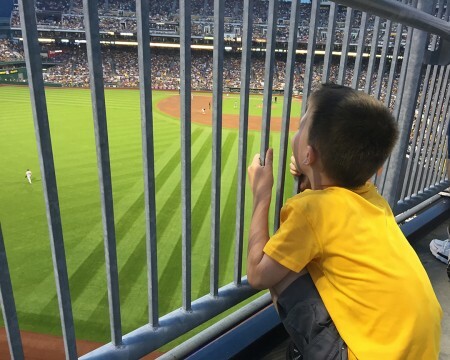 Perfect evening for baseball. 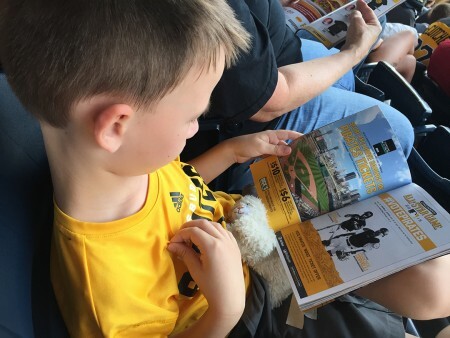 As usual we started the game in our seats and within a few innings Wyatt insisted that we move to the Rotunda to watch the remainder of the game.